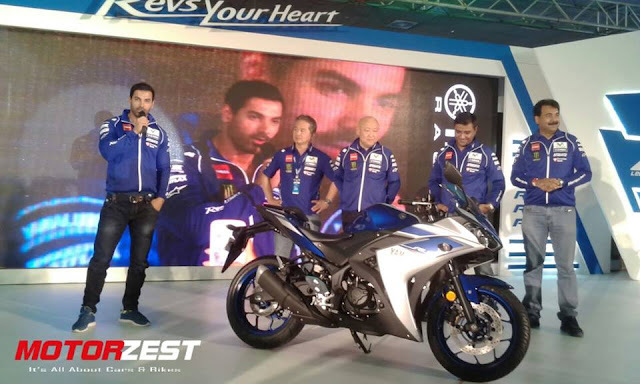 Bollywood actor, a big motorcycle enthusiast and brand ambassador of Yamaha India - John Abraham - launched the Yamaha R3 in India today at the Buddh International Circuit in Noida, Delhi. Yamaha launched the R3 in two colours Lightning Black & Racing Blue retailing at INR 3.25 lakhs (ex-showroom Delhi). 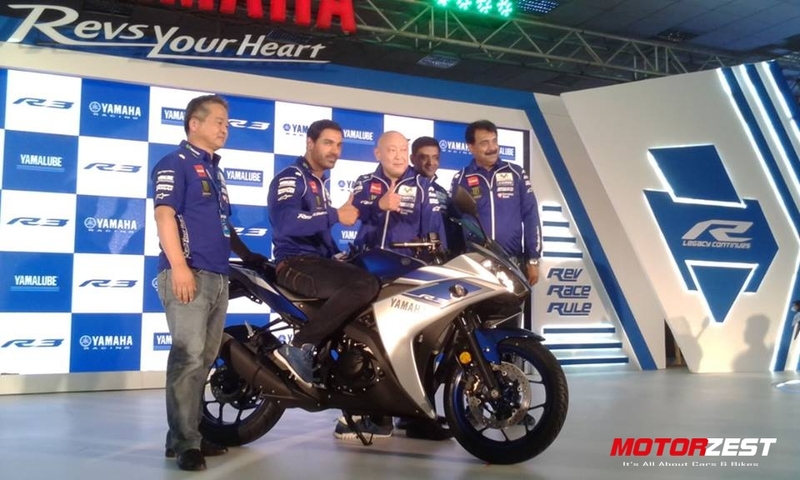 The R3 will be imported in India in parts via the CKD route from Indonesia and assembled locally. 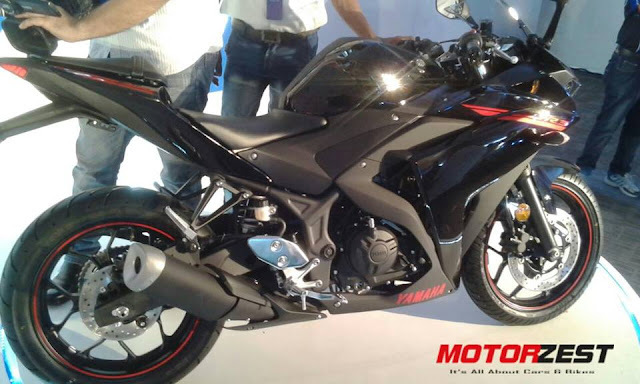 Sadly, Yamaha will not give ABS on the R3 sold in India, not even as an option. 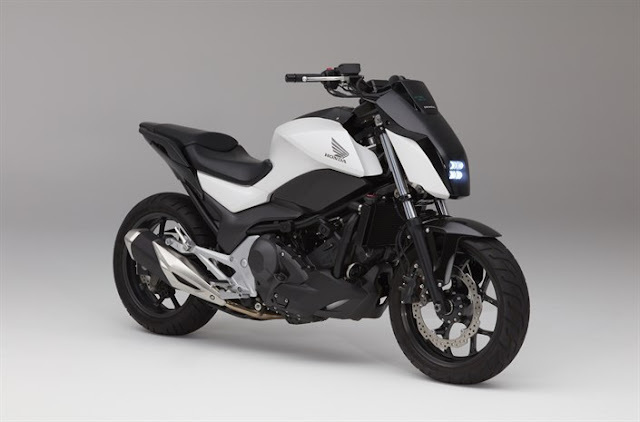 ABS is essentially required for high-speed bikes in slippery or emergency braking situations. 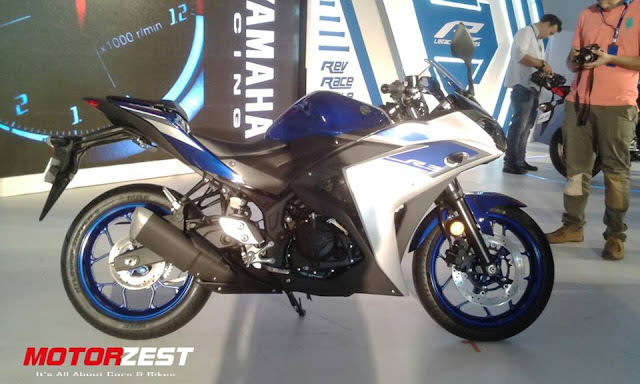 It is powered by a 321cc parallel twin cylinder liquid cooled engine which churns out 32PS of power @10,750 rpm and maximum torque of 26.6Nm @9,000rpm. The engine cylinder are completely made up of DiASIL aluminum to keep the weight minimal. The bore is greater than stroke length to provide more torque. Greater diameter of cylinder also facilitate easy heat dissipation. The power is transferred through 6-speed gearbox. The diamond frame chassis maintains excellent rigidity, while the low seat position gives a comfortable yet sporty riding posture. The light weight chassis and cylinder limits the bike kerb weight to 169 kgs. The R3 comes with a 14-litre fuel tank, telescopic front suspension in the front and monoshock at the rear. The rear tyres are 140/70 wide while the front tyres are 110/70 wide both fitted on 17-inch alloy wheel rims. The KTM RC 390 and Kawasaki Ninja 300 are its primary competitors in the segment. KTM RC 390 cost around INR 2.05 lakh and Ninja 300 around INR 3.65 lakhs. The R3 bookings have commenced at deliveries are expected to start as early as 20th August 2015.